According to the United States Fire Administration (USFA), children under five are twice as likely to die in a fire than the rest of us. To best protect your family, make sure your home is free of fire hazards, has working smoke alarms and that you have a well thought out escape plan in the event a fire does break out. Store matches, lighters and fire starters out of children’s reach and sight, preferably in a locked cabinet. Buy only “child‐resistant” lighters, however no lighter is “childproof” so store them safely. Children tend to imitate adults, so never use matches or lighters as amusement. Do not leave children in a room with a burning fireplace or space heater, and keep blankets and other flammable materials away from all heat sources. If you smoke, use deep ashtrays and soak ashes in water. Install and maintain smoke alarms on every level of your home and outside sleeping areas. Ideally install smoke alarms in every sleeping area, too. Test smoke alarms monthly and replace batteries at least once a year. Teach children what the smoke alarm sounds like and what to do if they hear it: Crawl low under smoke and get out. Replace smoke alarms at least every 10 years and clean them once a month with a vacuum or dust cloth. The United States Fire Administration (USFA) recommends the installation of both ionization and photoelectric or dual sensor smoke alarms to safeguard your home and family from fires. Draw a floor plan of your home, be sure to include all windows and doors and label sleeping areas. Plan two escape routes from each room and have a designated meeting place safely away from your home outside. Practice your escape plan at least twice a year‐ in daytime when it is light and nighttime when it is dark. Practice waking up to a smoke alarm, and teach your children to “Stay Low and Go” and “Get Out and Stay Out”. Teach family members to STOP, DROP and ROLL if their clothes should catch fire. These are just a few things you can do to protect your family from fires. 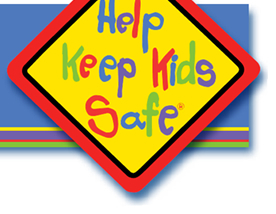 Please visit Montlick.com or HelpKeepKidsSafe.org and click on “Family Safety and Legal Tips,” to see our latest safety videos and downloadable Sources: U.S Fire Administration and Centers for Disease Control and Prevention materials and to register for Free Safety Alerts. Keep Your Family Safe from Home Fires is presented by Georgia Personal Injury Attorneys, Montlick & Associates. For over 23 years, Montlick & Associates, Attorneys at Law has been providing parents with important information to help keep your family safe. Our Fire Safety Guide is designed to help you protect your family from dangerous fires through simple preparation and practice. Be sure to download and practice the Fire Escape Plan Grid on page 2 of the printable PDF flyer provided by Georgia Injury Attorneys Montlick & Associates. A fire escape plan can help you get out of a burning home quickly and help save lives!